Patreon is continuous crowdfunding, like Kickstarter but with monthly support instead of a one-time donation. You can use PayPal and most major credit cards. There are different tiers at different price levels, each offering specific rewards. When you pick a higher tier, you automatically get all the rewards at the lower tiers as well. You can stop at any time, go to a lower tier or go to a higher tier. That’s pretty much it. It’s a simple and robust platform that works exactly as advertised. When I started my first site in 1999, I promised wife at the time that I wouldn’t invest money in it, only time. I’ve tried to stick to that promise and worked with advertisers to cover the cost of hosting this blog. I don’t want to be too dependent on too many of them so I kept it limited. The last few years, the number of visitors has risen consistently and it’s come to the point that my current web host isn’t good enough anymore. Then there are the projects like my webcast, that I want to turn into a podcast, but that also needs some investment. To make better videos, I need to invest in equipment, etc. You can read all of the goals on the left side of the page. I’m creating content specifically for it and you get to see it right away when it’s done, no delays. Some content will be unique to my Patreon page and not get published elsewhere. You’ll have access to me. I’m going to be active in different ways: comments, videos, Q&A sessions and more. My ultimate goal is to have my Patreon page be something you enjoy, find useful and feel you are getting your money’s worth from. Upgrade my blog to a much better web host. This will improve the speed, up-time and overall user experience for all of you. I’m comparing the plans of a few web hosts right now and am almost ready to pick one. Then the migration process can start. I’ll let you know when it’s done. I can turn my webcast into a podcast as well. It will be available on Youtube as before, but also in audio version here on my blog and on iTunes. I hadn’t expected to reach those goals any time soon. Everything I read about Patreon told me you need to work hard and be patient as patrons slowly trickle in over the months. It’s humbling to see how my patrons stepped up and signed on right away, even when there wasn’t a lot of content just yet. So here’s a big thank you to Andy, Pieter, Tino, Jose, Jan and Michael. You guys rock! I’m busy creating lots more content every day and I’ll do my best to reward your confidence in me. Sign up and become a patron here. Support can be as little as $1 a month at the lowest tier; every bit helps and I appreciate all of it. Share my Patreon page with people you think might be interested. The more people take a look, the more chances one of them signs up. The more people sign up, the more everybody benefits as it’ll allow me to create more and better content. As an added bonus, I’m offering a special surprise reward for the first 50 patrons, regardless of which tier you sign up for. So don’t wait too long if you are interested. And to those of you who spread the word: thank you. I very much appreciate it. 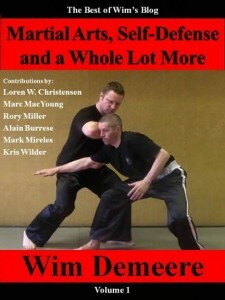 If you haven’t heard already, next weekend, May 21-22, I’m doing a two-day self-defense seminar in The Netherlands. The location is Assendelft, which is just outside of Amsterdam. There’s only a limited number of available spots, so it’s best to book now instead of wait. Go to this website to claim your spot. 3 timings: ambush/sucker punch, sudden attack, advance warning. 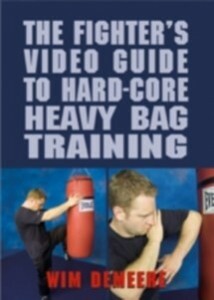 Drills: Jack in the box, Push/pull, Pad striking drill, Wall drill, Frankenstein, etc. Case studies using video footage or real incidents: Ambush, Sucker punch, Escalation. Scenario training: Walk-aways, Boundary setting, Pre-emptive strike, Environmental tactics. My schedule is pretty packed for the coming months, so this is probably the only seminar I’ll do for a while. If you want to attend, don’t delay and reserve your spot. What am I up to in 2016? First of all, a happy New Year to all of you. May the best of 2015 be the worst of 2016. 2015 was a difficult year for me. Lots of business stuff going on but mostly, I had to focus on my rehab after my surgery. That took way more time and energy than I had anticipated because my injuries were much worse than expected. Both my surgeon and physical therapist gravely underestimated them. In short, I walked around with increasingly more dislocated ankles for several years. It’s taken daily rehab sessions to both activate atrophied muscles, reinvigorate my connective tissue, realign my body and work on correct proprioception, all at once. Progress has been steady, but it’s also been slow. E.g. : it’s been a year and two months since my surgery and it’s only been a week or two since I have a bounce in my step again. The good part about all that work is that I’m finally coming closer to the point where I can train normally again. Unless something breaks (fingers crossed…) I should be back to 100% in a month or so. 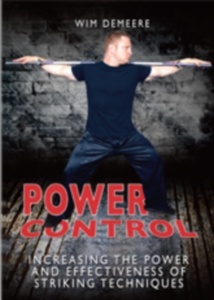 I’m a self-employed personal trainer/consultant/coach. 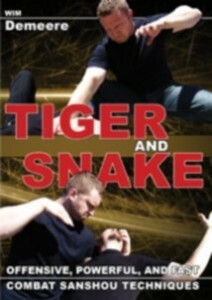 I teach martial arts, self-defense and conditioning to private clients but also small groups. This used to be my main job, but other activities have started to take up more of my time these last few years. I do business seminars and workshops teaching companies how to apply the lessons from martial arts to their professional environment. That business has been growing steadily over the years and got a big boost in 2015. I’m a Master Trainer with Technogym and do workshops and training sessions for both their physical products and Cloud software solution. They also kept me busier than ever. In the last few years, I was approached numerous times by C-level executives for coaching them through difficult professional situations, helping them with stress management and more. This has gradually developed into another business that is getting more and more traction. There’s all that and also having two kids, who I very much like to spend time with as much as possible… Whatever time I have left goes to other projects like blogging and writing, which wasn’t all that much last year. From the looks of it, 2016 is going to be a critical year and I will probably have to make some choices on a professional level, because I can’t do everything, nor can I be in two places at once. That’s a first-world problem, so I’m not complaining. Whatever comes next, it’s going to be good and I’m looking forward to taking on new professional challenges. 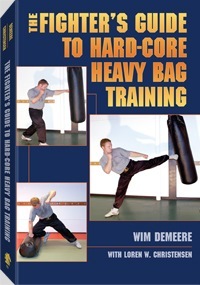 The next two books are “The Leg Kick” and “Boxing for Self-Defense” The first one is about 80% done right now, but still needs a lot of work in post-production as there will be a free video-course that comes with it. The second is in the planning phase. 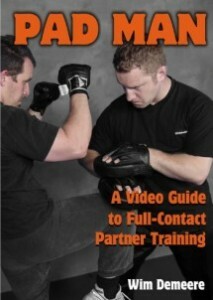 The title says it all basically: practical tips for men on how to avoid violence. In each chapter I explain one tip in detail and then give some useful tools to implement them in your daily life. 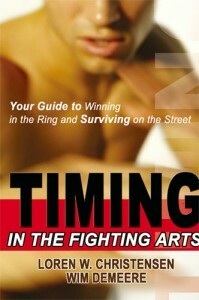 The book isn’t about how to knock somebody out, it’s about avoiding having to throw that punch in the first place. I write about fundamental issues you need to understand and apply, instead of giving general tips. My goal is that you’ll be able to apply the information right away. As of this writing, the book is about 50% done. This book only has a working title. I started a few years ago, but it’s been hell working on that one and I got so fed up with it I put it away for a while. It was either that or pulling my hair out in frustration. In hindsight, that was the best decision because I now have a better take on the material and some new ideas. 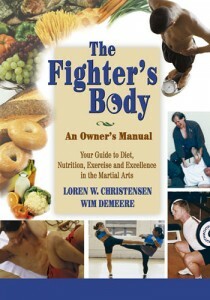 After the Knife Defense book , I’ll start writing the sequel to The Fighter’s Body. I’ve been collecting studies and data for years, figuring I’d eventually write it. I’m looking forward to sharing all that in the book. 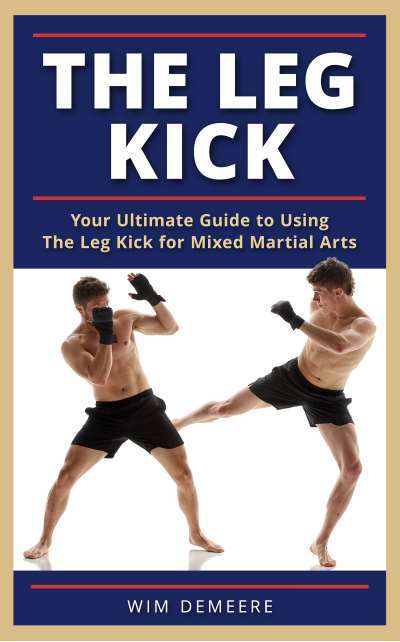 The focus of this book is the “older” martial artist, meaning 40 and older. What is it like to train at age 40, 50 and older? How do you stay in shape, healthy, manage injuries, etc. But I’ll also cover what to avoid in your twenties so you don’t wreck your body by the time you’re 40. I’m psyched about this book. It’ll be a lot of fun and I hope it will be valuable to young and old. One of the new things I’m going to do for all these books is give you access to free resources. You’ll be able to see videos of my interviews with experts, additional material, tools to use in your own training and much more. Technology has finally come to the point where I can deliver an “enhanced” book that doesn’t stop after you read the last page. So I plan to make the most of it and give you every last drop of information I can think of. 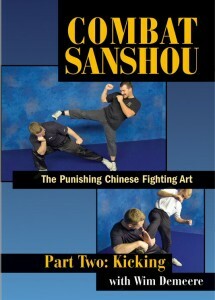 Combat Sanshou: Basic Self-Defense. 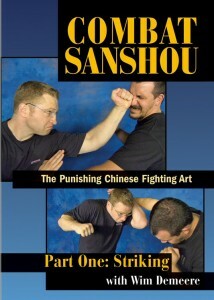 This project fits in the whole of the Combat Sanshou series as an entry point for the absolute beginner: basic techniques against the most common attacks. It’s actually a system within the system and integrates well with the already available material. It’s also broad enough to be interesting to people of other arts and systems as the pedagogical approach is an integral part of making it effective. In short: it’s what I teach clients who come to me with zero knowledge and want the quickest possible results. Fightstoppers: End it Now! This is a collection of techniques/moves with the purpose of ending the fight before it really starts. They’re similar to what you can see here. Most of them are entries and set ups or short combinations that target vital targets and weak spots of the human anatomy. I’ve been getting lots of requests for this kind of stuff ever since that original video and have been preparing a catalog of such moves ever since. I’m still looking into it but a podcast and live streaming events are also on my list. The main hurdles have been technical, but I’m closing in on a few solution’s for those. We’ll see what happens and if I can free up the time to do this on a regular basis. I published my military thriller short story a few weeks ago and it’s done very well since then. Turns out a lot of you liked that fight scene… If time permits and I can come up with a good plot, I might write a full novel for those characters. That said, I have a few other short stories in the urban fantasy/horror genre I need to get out of my system, so those might come first. All in all, these aren’t priorities for me. I write fiction to take my mind off the non-fiction writing. It helps prepare me for the next martial arts or self-defense project if I can do something completely different for a few weeks. We’ll see. If you want to make sure you stay informed, sign up here on my notification list (don’t forget to click on the link in the confirmation mail you receive) and you will get an email whenever I publish something new. As you can see, I’ll be busy in 2016. Get my health back. After years of deteriorating health, I was finally diagnosed correctly and had surgery about three months ago. Since then, I’ve been doing loads of rehab and recently also solo training to fix all the problems. Progress is slow, but steady. The one thing that amazes me is how extensive the changes to my movement patterns have become in the last few years. Now that muscles that had atrophied completely are finally working again, I’m slowly teaching my body to do the most basic things like walking or standing upright correctly. Getting back to optimal physical shape will be my main focus this year. Clean house. Because of the previous, a lot of direct and indirect problems arose in both my personal and professional life. It’ll take some time to get all that fixed, especially in the first few months. Once things are back on track, I’ll have more peace of mind and extra time. 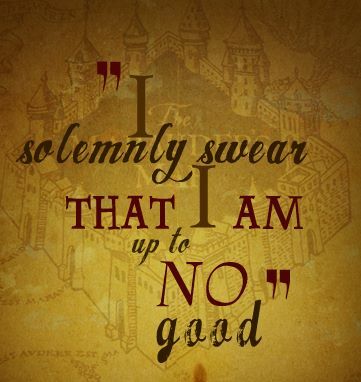 Finish the book. Because of my health issues and then surgery/rehab, I didn’t write nearly as much as I wanted. I just didn’t have the energy for it. 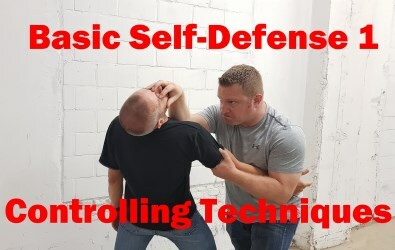 Now that’s behind me, I want to finish the self-defense tips book as soon as possible. If all goes well, it’ll be done around mid- February. Improve writing productivity. My plan is to each time finish a “big” book, send it out for review and editing and in the mean time write a “small” one. By the time the big one comes back, the small one should be ready for review too and I can alternate working on them. The goal is to clear my head after I finish a manuscript, to help get a fresh look when it comes back to me. If this works out, it should increase my output a lot. Work on my blog more. Writing was hard the last year and as a result, I didn’t publish much here on my blog. That’s going to change. I might not get back to the 2-3 posts per week like I did a few years ago, but once a week should be doable. Shoot more videos. As I get in, better shape, I’ll make more videos again. They’ll probably go to my Youtube channel for the most part but I might put them on social media too. The Youtube ones usually take a lot of editing and sometimes I really don’t have the time for that. But the social media ones can be done quickly, even though that means less of a finished product. Either way, you get to see more videos. Try new things. I want to try out some new ideas on-line that look like fun. The first one will be a webinar where I do a Q&A session with you all. The second is starting up a podcast, probably a monthly one. I’ve looked into the technical aspects of both and it should be doable to do the webinar soon and the podcast in a month or so. Travel. So far, I’ll be in the US in a few months and in France sometime this summer. Mostly when I travel, I am either teaching seminars or private sessions. The seminars aren’t always open to the public, but when they are I’ll let you know. Also, if I have additional time and you want to set something up, I’ll mention that too. Other than that, I plan on doing some traveling to train with my teachers. Visit friends. I’m unfortunate in that most of my friends live across the world from me. I don’t see them nearly as often as I’d like, so some of the traveling will be to see them again. Life is short and spending it with people you love is the best use of your time. All that together means there’s a lot on my plate, which is fine by me. It’s going to be a fun ride and you’re more than welcome to join me on it here or on my social media. For the next two days, I’m giving away two fiction stories for free and am heavily discounting one book. If you already subscribed to my newsletter, you don’t have to do anything. You’ll receive an email with all the details either later today or early tomorrow. If you have not subscribed yet, do so now by entering your name and email address in the form here below. Don’t forget to click the link in the confirmation email you get afterwards, or you won’t be on the list and will miss out on everything.